Since we deployed Win10 on abt. 400 machines, some printing issues we didn't have under win7 turned up. Similar to the 0x00000057 error described here, I now faced a 0x00000002 error when a user tried to add a printer. 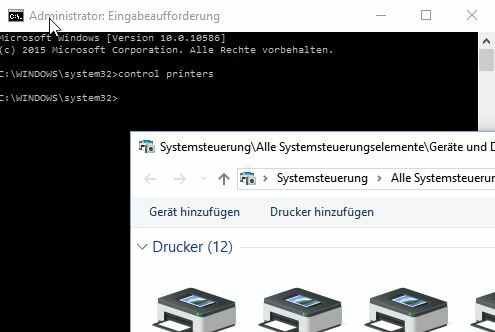 I first followed the procedure for the 57 error, but the driver would not automatically install when the user's GPO controlled printer mapping kicked in. After manually adding the printer with admin-rights, it was also available for the user. Delete the old printer driver as described here. As I worked remotely (SCCM) in the user's own session, I used an elevated shell. Go "unlisted printer" and browse your print server's shared printers. Once the driver has been installed, exit the admin shell. Although it doesn't explicitly state that in the error message, it seems that the 0x00000002 is a rights/privilege issue.